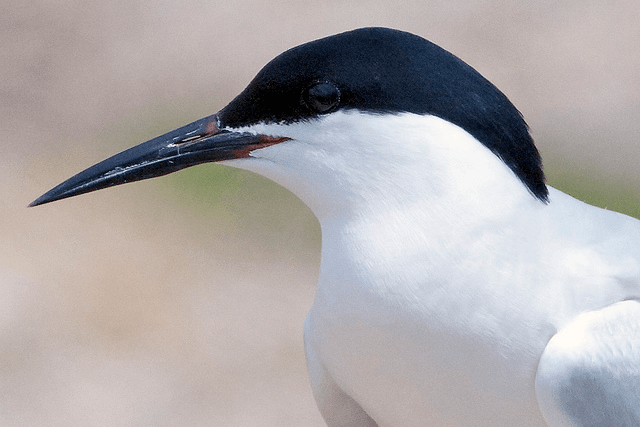 The population of the roseate tern (Sterna dougallii), which is classed as one of Europe’s rarest breeding seabirds, is getting a much needed boost thanks to a Birdwatch Ireland and National Parks and Wildlife Service conservation initiative. According to a report in today’s Irish Times Ireland now boasts 90 per cent of Europe’s core breeding population of these scarce birds, with 1,079 pairs nesting at Rockabill Island, off Skerries in north Co Dublin, with a smaller colony at Lady’s Island in Co. Wexford and a small number on Dalkey Island in Co. Dublin and on the Blasket Islands in Co. Kerry. The Roseate Tern colonies at Rockabill and Lady’s Island are monitored annually during the summer months when the terns are breeding, but until now this very successful conservation project was kept relatively quiet. “We were concerned that rare egg collectors might undermine our efforts to get them to breed,” Niall Hatch of Birdwatch Ireland told Irish Times reporters. Mr Hatch warned that despite the success of the project, having so much of Europe’s breeding birds concentrated in one geographical location could in itself constitute a significant threat. “A disaster, like an oil spill at Rockabill, would destroy most of Europe’s breeding population,” he said. Roseate terns are slight, elegant seabirds that are very similar to our more common species, common terns and arctic terns. They can be distinguished from them by the lighter overall look to their plumage, black bill and, in summer, the slight rosy-pink flush on their underside that gives them their name. They start arriving at their breeding colonies in Ireland around mid-May, leaving again in October to spend the winter off the coast of west Africa.